Wouldn’t you like a waffle? 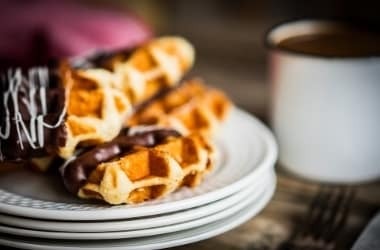 Today is International Waffle Day and at the QEII we simply love waffles! To celebrate this occasion, we have our head chef Jean-Michel Viala present a recipe to make fresh waffles and the world is your oyster when it comes to the toppings. So go wild!